Managing media relations at the HIMSS annual conference has changed dramatically over the years. The 1990s to early 2000s drew editors of numerous print publications several inches thick with stories and advertisements. Today, those magazines have folded or merged with other publishing outlets, eventually morphing into digital sites. While fewer health IT press members and analysts attend HIMSS today, many are bound by tight travel budgets and even tighter time constraints. Besides searching out distinct news to report, journalists must manage various activities—manning the publisher’s booth, hosting paid-for video interviews, or tweeting or filming education sessions for social media platforms. As a result, specifying a set quota of HIMSS interviews is unrealistic. Keep in mind that HIMSS is but one conference opportunity to reach out to press and analyst contacts. Many attend specialty conferences and events throughout the year—venues where the pace is more manageable and ideal for one-on-one conversations. 2. Expect journalists to come prepared with their own agendas, most likely determined by managing editors. Their job is not to accommodate your company’s publicity needs—unless your news is breaking and has broad industry significance. 3. Press members prefer being introduced to provider leaders at HIMSS. When scheduling interviews, inform the healthcare professional of the reporter’s limited time. The key here is patience and flexibility coordinating all meeting logistics. 4. Reach out first to contacts with whom you have established relationships. Keep your interview pitch short. Summarize newsworthy details aligned with appropriate provider and vendor spokespersons. 5. Tailor your pitch to the targeted publication’s subscribers and analyst’s assigned report’s theme. If you’re pitching an editor whose news site is read by physician executives and practice administrators, propose applicable trends, news and practice IT stories with sources. Also peruse editorial calendars for planned themes that support your business and thought leadership initiatives. 6. Once interview meeting details are confirmed, send a calendar e-invite to the press member or analyst, provider client and others involved. Ensure confidentiality when obtaining mobile numbers required in case of scheduling changes or onsite emergencies. 7. If your company is new to HIMSS, lacks media training or has unrealistic interview projections (or all three), schedule a WebEx call to address the concerns to manage expectations. 8. The interview site will depend on the editor’s and analyst’s preference. Location options include the HIMSS media interview room booked through the HIMSS PR staff, the vendor’s booth or outside the HIMSS media interview room. Meeting at a nearby Starbucks or restaurant works as well. 9. If your client is hosting a party, send e-invites to your press and analyst contacts. They like to have fun and relax, too! Plus it’s a great opportunity to get to know people in a relaxed setting. 10. Before the show, distribute a briefing document to spokespersons. Include an at-a-glance schedule, in-depth background information on the journalist/analyst and publication/report, and a meeting agenda. 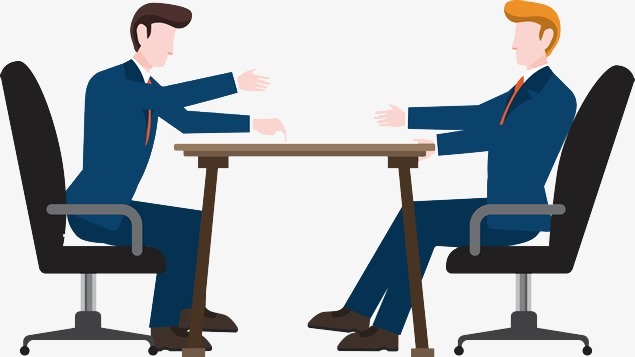 Offer coaching tips for articulating key messages during the interview. 11. During the interview, hand-deliver a print copy of your HIMSS18 press release and email the document as backup. If the journalist cancels the onsite meeting unexpectedly, propose scheduling a post-HIMSS interview. Also, follow up with the reporter a week or so after the show to discuss next steps to coordinate story delivery needs.